A former Dell Technologies Inc. employee says the company recently cited for its ethical practices allegedly fired him days after he told a manager he needed a liver transplant. In September, Pennsylvania resident Michael Zappacosta filed a federal lawsuit against both Dell Technologies and its Dell EMC division claiming unlawful discrimination and retaliation in violation of the Age Discrimination in Employment Act and the Americans with Disabilities Act, according to the filing with the U.S. District Court for the Eastern District of Pennsylvania. Zappacosta, a former customer service engineer for Dell client SunGard Data Systems Inc. in Philadelphia, alleges that he was dismissed from his position on Nov. 1, 2016, five days after he briefed a manager about a cancerous tumor found on his liver. The suit alleges that Zappacosta told his manager the condition required a transplant. He was 51 years old and a 10-year employee of Dell and the company it acquired in September 2016, EMC Corp. The manager later told Zappacosta his position was being eliminated because of redundancy. No other positions were eliminated at that time, the lawsuit alleges. 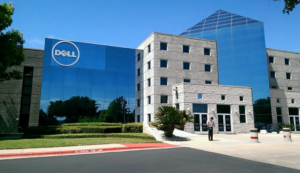 In January, Texas-based Dell and Zappacosta agreed to suspend the lawsuit during settlement negotiations, another court filing indicates. Neither Zappacosta nor his attorney, Brian Farrell, could be reached for comment. Last month, Dell announced being recognized by the Arizona-based Ethisphere Institute as one of the world’s most ethical companies for the fifth consecutive year. The company was one of only three technology businesses cited by the institute “underscoring the company’s commitment to leading with integrity and prioritizing ethical business practices,” according to a Feb. 12 Dell news release. “Global corporations operating with a common rule of law are now society’s strongest force to improve the human condition,” the release stated. In 1997, federal officials fined Dell Inc. $50,000 for selling personal computers in Iran, a violation of U.S. trade sanctions. In 2016, it violated the sanctions again by selling to Iran through its embassies in Germany and France, The Register reported. In 2010, Dell and its executives agreed to pay the U.S. Securities and Exchange Commission more than $100 million in penalties to settle accounting fraud charges related to supplier rebates used to inflate company revenue figures. Michael Dell and former CEO Kevin Rollins were fined $4 million apiece. They neither admitted nor denied the charges. 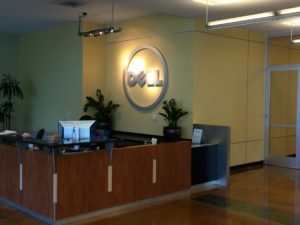 Dell, which was founded in 1984, has attempted to transition from a company best known for personal computers to one offering a full line of tech products and services. The shift was sparked by the slim profit margins generated by commoditized computers versus the larger profits provided by software and storage. Dell is now structured with two segments: client solutions (computers) and enterprise solutions group (networking infrastructure such as software, servers and storage). The company operates manufacturing plants in the United States, Malaysia, China, Brazil, India, Poland and Ireland. It employed about 138,000 workers at the end of its last fiscal year, SEC filings show. Dell has posted declining revenue every year since 2011 (fiscal 2012). That trend changed during fiscal 2017 largely due to the late 2016 acquisition of Massachusetts-based EMC. The EMC deal boosted Dell’s revenue but hasn’t helped its bottom line. The company posted a $3.7 billion net loss ($2.1 billion of which attributed to EMC) on revenue of $61.6 billion during fiscal 2017, according to an SEC filing. In November 2017, Michael Dell told an audience of Boston executives his company has invested $12.7 billion on research and development during the last three years. But that figure conflicts with Dell’s SEC filing indicating the company spent far less, just $4.6 billion: $2.6 billion in fiscal 2017, $1 billion in fiscal 2016 and $920 million in 2015. Dell spokeswoman Lauren Lee subsequently said the $12.7 billion actually included the R&D spending of seven companies Dell Technologies acquired when it bought EMC. Effectively, the investments largely predated Dell’s ownership. This entry was tagged Austin, cancer, Dell, dell emc, Dell Technologies, discrimination, EMC, lawsuit, Michael Dell, Technology, Texas. Bookmark the permalink.